Up your beauty game this winter with our list of beauty must-haves! Two brands that you really cannot miss are Fruu and Evolve – both are fabulous beauty brands with sustainability at the very heart of their agenda. Let’s first take a closer look at Fruu, an organic and vegan cosmetics company that specialises in selling a wide variety of fruity lip balms. Their products are 100% biodegradable with most of their ingredients produced as a by-product from processed food waste, generating extra income for small scale fruit farmers. Another of my favourite beauty brands is Evolve, a great organic and natural beauty brand who focus on developing small batch products with high-quality ingredients. We particularly love Evolve’s daily defense moisture mist which is packed full of hydration boosting ingredients including prickly pear which both hydrates dry skin and calms irritated skin. Keep an eye on my Instagram account next weekend for your chance to win a moisture mist from Evolve as well as some fruity lip balms and a coffee scrub from Fruu! This floral soap block is vegan friendly and handmade in small batches. An organic facial mist from Evolve to calm, protect and hydrate your skin. Made with 100% natural oils and wrapped in 100% recycled paper! The perfect selection of artisan bath and body products – available for a limited time only. 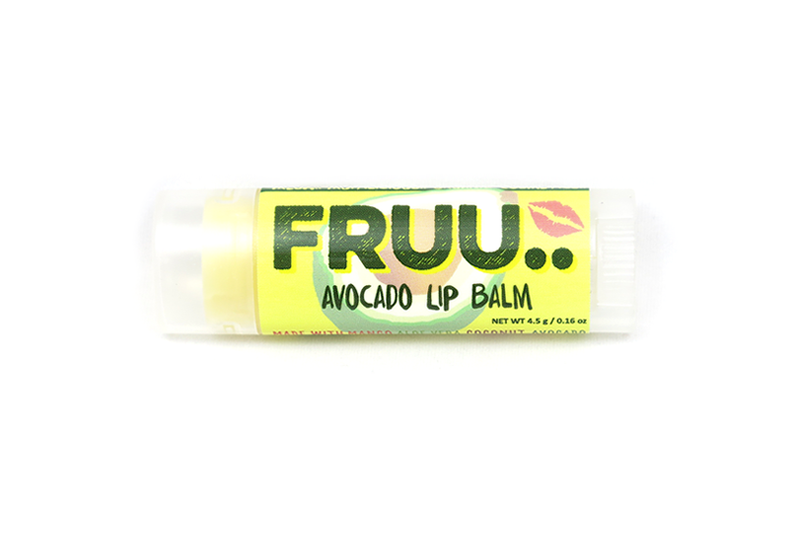 One of Fruu’s fruitilicious lip balms, infused with hydrating aloe vera. Handcrafted and reusable baubles. Each contains an eco-friendly and cruelty-free beauty product! I love all these, am a huge fan of lip balms. Looking forward to try new stuff, always.